Carpenters construct, erect, install, finish and repair wooden and metal structures and fixtures on residential and commercial buildings. They may also carry out work on large concrete, steel and timber structures such as bridges, dams, power stations and civil engineering projects. 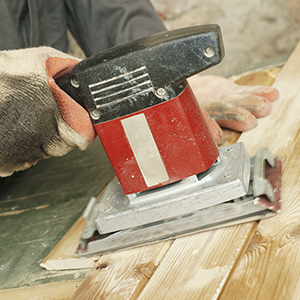 Timber and composite machinists set up, operate and maintain woodworking machines, which they use to cut, plane, shape and sand timber and composite materials to a required shape and size. 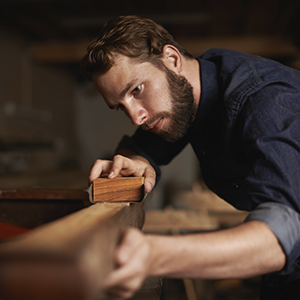 Crafted timber and composite parts are then assembled to make a variety of furniture items and building components, such as tables, desks, chairs, beds, cabinets, boxes, window frames, veranda posts, balusters and flag poles. Furniture polishers polish timber furniture and musical instruments by hand or machine to give them a protective and attractive finish. They also apply polyurethane-based finishes for flat panel products, such as kitchen doors and panels. Picture framers make frames of all types and sizes and mount and display decorative items such as paintings, prints, etchings, tapestries and photographs. 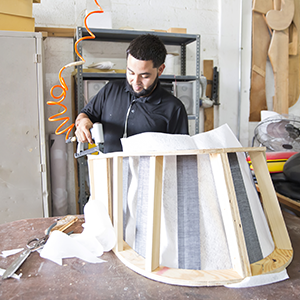 Upholsterers select, cut, sew and fit fabric or leather materials to furniture and repair damaged furniture.